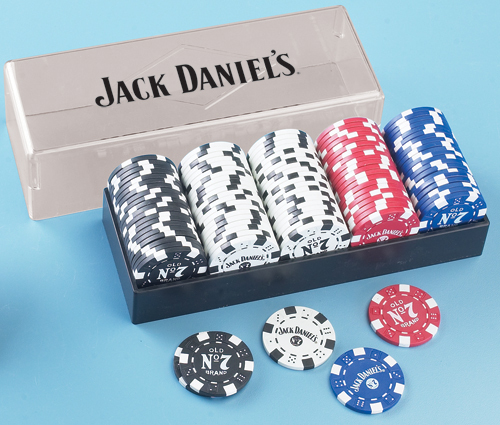 This casino quality set of 100 clay poker chips has a convenient black and clear plastic case with the words, Jack Daniel's prominently featured on the top. Each poker chip has two Jack Daniel's logos, one on each side and come in blue, red, white, and black. Official Licensed Product.